The Retro World Series is a global series of competitive gaming tournaments featuring the greatest retro games ever made. The Retro World Series is comprised of (i) the Main Event, and (ii) Satellite events. Players will be competing in these tournaments to decide the season’s Player of the Year. By competing in the Retro World Series Main Event and Satellite Events, players will earn Points based on their performance in the various tournaments, in turn allowing them to be ranked against other players on the Retro World Series’ official Player of the Year Leaderboard. The more Points a player accumulates, the higher on the Player of the Year Leaderboard he or she will be. A Season concludes with the Retro World Series Main Event. After the Main Event is completed, the Player of the Year will be awarded to the player with the most Player of the Year Points. The Retro World Series Official Rules (“Handbook” or “Guide”) of the Retro World Series (“RWS” or “Competition”) applies to all Teams, Team Owners, Team Managers, Players, and Substitutes (“Participants”) who are actively participating in any event related to the Retro World Series. 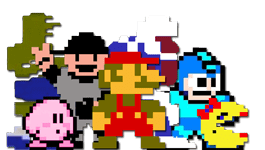 By participating in any event related to the Retro World Series, Participant fully and unconditionally agrees to and accepts these Official Rules, which incorporates the Tournament Rules and the decisions of Tournament Organizer, which are final and binding in all matters related to the Tournament. Receipt of any prize is contingent upon the playerʼs compliance with all of these Official Rules. A “Player” is any person who is registered to participate in an event sponsored or sanctioned by the Retro World Series. Players must meet the following requirements in their entirety in order to be eligible to compete. Players who do not meet these requirements will be deemed ineligible and will be removed from the Retro World Series until these requirements are met. The Retro World Series is an 18+ program. For live events, competitors must be 18 years of age or older. Exceptions may be made for players under the age of 18 with a parental consent form. Spectators under 18 years of age will need to be accompanied by a parent or legal guardian. Click here for the Parent/Guardian Consent Form. The Retro World Series believes that all players should be able to play retro video games in a safe and welcoming environment and community. By participating in the Retro World Series, Participants agree to abide by the following Retro World Series Code of Conduct. No forms of cheating will be tolerated. This includes software modification, hardware modification, match fixing, hacking, exploiting game glitches, impersonation (including playing under another player’s account), collusion, or any other behavior as determined by the tournament organizer or the Retro World Series. Players may not intentionally delay or slow game play, including but not limited to stalling, disconnecting video, controller, or network cables, interruption of network connectivity, or any other known or unknown manner of tampering with game play. If a Match is uncompetitive, the Retro World Series Administration or Tournament Organizer reserves the right to declare a winner without replaying any portion of the game. The use of drugs or alcohol may lead to disruptive behavior. Players believed to be under the influence of drugs or alcohol during tournament hours may be removed from the tournament at the discretion of the tournament organizer or the Retro World Series. No references to illegal substances will be tolerated. All players are expected to be respectful of the staff of the Tournament Organizers, the Retro World Series, sponsors, and/or partners. All players are expected to register and show up for their matches on time. For tournaments requiring an entry free, registration will close 30 minutes prior to the scheduled starting time of tournament, unless otherwise stated. For tournaments requiring no entry fee, registration will close 10 minutes prior to the scheduled starting time of tournament, unless otherwise stated. Only the Tournament Organizer may make exception to late entries. Once registration closes, all players are expected to remain in the tournament area and wait to be called for their next match. Leaving the tournament area or being late to a match may result in penalties being assessed. All players are expected to use Retro World Series’ equipment, including but not limited to controllers, televisions, monitors, consoles, and games, respectfully. Participants are permitted to bring their own controllers provided they are approved by Retro World Series Administration or the Tournament Organizer. Participants are expected to compete at the best of their ability at all times during Retro World Series-sanctioned or sponsored online or live tournament or events. It is Player’s responsibility to immediately take action to withdraw from the tournament should circumstances arise which would prevent a Player from competing. Good sportsmanship and the Retro World Series Rules dictate that a person should never enter a tournament they do not intend to finish. If registration for a Retro World Series tournament has not yet closed, a Player may withdraw by going to the Retro World Series Contact Page. Play must enter in the Subject Line “Withdrawal”. You will need your PayPal Transaction ID from your original registration to withdraw if said registration required an entry fee. Withdrawals will not be accepted once the registration deadline has passed. The Player will be entered into the Tournament and automatically defaulted of all matches. Participants may not conduct or promote betting or gambling on any Retro World Series match. Participants may not benefit directly or indirectly from betting or gambling on any Retro World Series match. CAUTION: ANY DELIBERATE ATTEMPT TO DAMAGE ANY WEBSITE OR EQUIPMENT, TAMPER WITH THE ENTRY PROCESS, OR OTHERWISE UNDERMINE THE LEGITIMATE OPERATION OF A TOURNAMENT MAY BE A VIOLATION OF CRIMINAL AND CIVIL LAWS AND SHOULD SUCH AN ATTEMPT BE MADE, THE RETRO WORLD SERIES AND TOURNAMENT ORGANIZER EACH RESERVES THE RIGHT TO COOPERATE IN THE PROSECUTION OF ANY SUCH INDIVIDUAL(S) AND TO PURSUE ALL REMEDIES AVAILABLE TO IT TO THE FULLEST EXTENT PERMITTED BY LAW. By participating in the Retro World Series, Participants agree to abide by the Retro World Series Rules and Game Play Settings for Versus, High Score, and Speed Run Tournaments. Click here to read the Rules and Settings for each Game and Tournament. Player of the Year Points will be earned by Players throughout a Retro World Series Season. Player of the Year Points will be used to determine the Retro World Series Player of the Year at the end of a Season. Each event will award a number of Player of the Year Points. Below are the point structures that may be used throughout the Season. Point structures may change. Each event will award a cash prize, medal, or trophy, or a combination thereof. Below are the cash prize structures that may be used throughout the Season. Prize structures may change. For Tournaments that require an entry fee, 100% of every entry fee will be added to the prize pool (pot). A separate tournament fee may be charged. Failure to take delivery of any Prize may result in forfeiture, and such prize may be awarded to an alternate player. Prizes may not be transferred or assigned until after a player has complied with all his or her obligations under these Official Rules. No cash or other substitutions may be made, except by the Retro World Series, who reserves the right to substitute a prize in whole or in part with another prize of comparable or greater value if the intended prize is not available for any reason as determined by the Retro World Series in its sole discretion. By participating in a Tournament, players acknowledge that Tournament Entities have not and will not obtain or provide insurance of any kind relating to the Prizes and that each player will be responsible for obtaining and paying for any life, travel, car, accident, property or other form of insurance relating to the Prize(s) won by him or her. Players will be responsible for all taxes (including but not limited to federal, state, local and/or income) on any Prize won and on the value of any items or value transferred to the player by the Retro World Series or Tournament Organizer, as the case may be. Winners who do not claim the Prize (s) won by him or her within six (6) months of the close of a Tournament or such earlier time as designated by the Retro World Series are void, and the Retro World Series shall have no further liability or responsibility to such player(s) in connection with the Prizes. By participating in a Retro World Series Event, player hereby grants to the Retro World Series permission to record, videotape and photograph the player (“Player Images”). All Player Images will be owned by the Retro World Series. Player grants to the Retro World Series and each of its designees, the right to use, edit, adapt, post, stream, copy, display, perform, transmit, broadcast, and otherwise exploit Player Images, including any names, likenesses, voice, conversation and any other attributes of the playerʼs personality and appearance, individually or with others, in whole or in part, alone or in conjunction with other material, in any and all media now known or hereafter devised, in perpetuity throughout the world, for the purpose of trade, advertising, promotion or any other lawful purpose whatsoever, without additional compensation, consideration, notification or permission, except where prohibited by law. Administration reserves the right to broadcast any Match of the Retro World Series including online and offline play. Participants cannot refuse broadcasts authorized by Retro World Series Administration. Administration reserves the right to reschedule any Match of the Retro World Series to accommodate a specific broadcast time. Participants cannot refuse this reschedule. Refusing to allow Retro World Series Administration to broadcast or reschedule any Match may result in a penalty. Players may not refuse participation and any such behavior or tardiness may result in disciplinary action, including a penalty. Teams will be required to arrive and depart on specified days in order fulfill Media Day requirements. For Match Interviews, one Player or one Player nominated by each Team must be available for interviews before, during, or after any Match of the Retro World Series. Nominated Players may not refuse to conduct an interview. 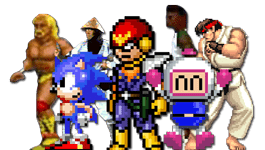 By participating in any Retro World Series events, or Retro World Series sanctioned or sponsored online and live events, players agree to be bound by the final decisions of the Tournament Organizer, the Retro World Series, and anyone acting on the Retro World Series’ behalf. THE RETRO WORLD SERIES OR TOURNAMENT ORGANIZER, AS THE CASE MAY BE, HEREBY DISCLAIMS ALL WARRANTIES AND CONDITIONS, WHETHER EXPRESS, IMPLIED, STATUTORY OR OTHERWISE, WITH REGARD TO THE TOURNAMENT GAME SOFTWARE, EQUIPMENT, OPERATION OF THE TOURNAMENT, OR PRIZING, INCLUDING, WITHOUT LIMITATION, ALL IMPLIED WARRANTIES OF MERCHANTABILITY, FITNESS FOR A PARTICULAR PURPOSE, TITLE, NONINFRINGEMENT, AND THEIR EQUIVALENTS, UNDER THE LAWS OF ANY JURISDICTION. the inability to complete a game due to any technical malfunction. The Retro World Series or Tournament Organizer, as the case may be, and at its sole discretion, may require the replaying of any game, match, Tournament, or declare any of the foregoing null and void by reason of any technical or other system error. If for any reason a Tournament or any portion thereof is not capable of running as planned, including infection by computer virus, bugs, tampering, unauthorized intervention, fraud, technical failure, or any other causes beyond the control of the Retro World Series or Tournament Organizer, as the case may be, which corrupt or affect the administration, security, fairness, integrity, or proper conduct of the Tournament or any portion thereof, the Retro World Series or Tournament Organizer, as the case may be, reserves the right, at its sole discretion, to cancel, terminate, modify, or suspend the Tournament or any portion thereof. Without limiting the generality of the foregoing, in the event that the Retro World Series or Tournament Organizer, as the case may be, determines, at its sole discretion, that any individual game, match, Tournament, has been tampered with or that the validity of any game, match, Tournament has been compromised for any reason, it may eliminate that game, match, and conduct the Tournament on the basis of the remaining game, match, Tournament. In the event that any individual is adversely affected in a game, match, Tournament by any technical or equipment malfunction, the Retro World Series or Tournament Organizer, as the case may be, reserves the right to schedule special game, match, Tournament among any such competitors so adversely affected. In the event of any cancellation, termination, modification or suspension of the Tournament or any portion thereof, the Retro World Series will post a notice at http://www.retroworldseries.com. under no circumstances will any player be permitted to and each player hereby waives all rights to claim or recover punitive, incidental, consequential and/or special damages or any other damages (other than out-of-pocket expenses) and any and all rights to have damages multiplied or otherwise increased. SOME JURISDICTIONS DO NOT ALLOW LIMITATIONS OR EXCLUSION OF LIABILITY FOR INCIDENTAL OR CONSEQUENTIAL DAMAGES, SO THE ABOVE MAY NOT APPLY. All issues and questions concerning the construction, validity, interpretation and enforceability of these Official Rules, playersʼ rights and obligations, or the rights and obligations of the Retro World Series or Tournament Organizer in connection with the Tournament, shall be governed by, and construed in accordance with Texas law without regard to choice of law or conflict of law rules. The Retro World Series reserves the right, in its sole discretion, to revise, update, change, modify, add to, supplement, or delete certain terms of the Official Rules for any reason. Such changes will be effective with or without prior notice. 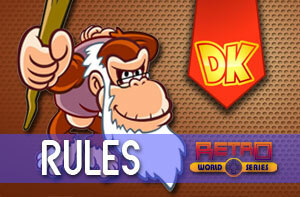 The most current version of the Official Rules is posted at www.retroworldseries.com. We expect all players to act with competitive and personal integrity at all times and to show good sportsmanship, honesty, and fair play. The Retro World Series should be a safe and welcoming place for all players from all backgrounds.